The Amur leopard mainly found in Northeast Asia is one of the critically endangered animals in the world. The current number has left only to 57. The main reason behind the declining population is considered to be forest fires and illegal logging since 1970. The leopard is famous for its beautiful thick coat and this is also the reason why they are hunted so heavily. Similarly, Jaguar is one of the most dangerous Amazon rainforest animals. Amur leopards have a long tail of 81–89 cm in length, however, they become handy in winters because leopards use them to wrap them around themselves for warmth. Additionally known as Far East leopards, Manchurian leopards or Korean leopards are mostly seen in the Russian Far East. Also, they are the only leopard’s species that can survive both snowy winter and hot summer climates. The nocturnal animals sleep during the day mostly in cool or sheltered places. They love to eat sika deer, hares, wild pigs and badgers, however, sometimes they have been eating black bears as well. One of the fastest leopard species upto speed.You can also read the most dangerous amazon rainforest animals. Iberian Lynx is also one of the critically endangered species of cat in the world. There are only 100 Iberian Lynx left in different parts of the world. They are mainly found in southwestern parts of Spain. The human activities in these parts are one of the main reasons for the extinction of the species. They are known for their beautiful fur and they are also hunted heavily for this reason. The population of the species is now increasing because of the efforts of Spanish National and Regional Administrations. The beautiful cat species can grow upto 1 metre long and mostly hunt at night. They have an excellent eyesight to catch rabbits, However, if rabbits number are less they will attack small deer and birds as well. One of the highly territorial animals marks heir territory by peeing on trees and rocks. They love to survive in open woodland region of southwestern Spain. The primary reason for the huge decline in population is habitat loss and hunting. The Sumatran tiger is mostly found in Sumatran Island of Indonesia. Till 1978 their population was estimated to be about 1000 now only 400 Sumatran Tiger left in the world. The reason for the declining population was deforestation and illegal poaching. They are also one of the endangered animals in the world. There are 5 subspecies of tiger exist in the world and Sumatran tigers are the smallest of all. The cubs of the Sumatran tigers start hunting at the age of 1 year old, however, they will stay with their mother until they are 2 years old. There are some fossils of Sumatran tigers exist in China that shows their existence for 2 million years old. The most unique feature is that no two Sumatran tigers are same. All of them have a different and unique stripe pattern. They are excellent jumpers and even when they are sitting down they can leap forward 10 metres. As the name suggests they are the subspecies of gorilla. They are mostly found in the high mountains of Africa. There is only 900 type of mountain gorilla left today. The growing population of humans in the areas of mountain gorillas and the deforestation are the two primary reasons for the declining population of the animal. They are now found in only two national parks Bwindi national park in Uganda and Virunga national park in Congo. The efforts have been put by the gorilla conservation department and they are seeing a positive rise in the population of the animal. One of the special primates shares over 98% of their DNA with humans. A mountain gorilla will never chase or attack you if you face them and look directly into their eyes, however, when threatened they can be aggressive. Usually, they beat their chest with hands and let our angry guts and even roars. The mother will fight to the death to protect their young. Mountain gorillas live in groups of up to 30 and aged gorillas known as silverbacks. The names come from the silver stripe they develop when they are mature. These silverbacks or mature gorillas will decide the group activities within their troop. The Black rhino is a species of rhinoceros that will weight around 1.4 tons. They are mostly found in grasslands of southwestern Africa. Till the 1960s, there are about 70 thousand rhinoceros present in Africa. Today we have only 2500 rhinoceros. The main reason for the drastic decline in the rhinoceros population is hunting and poaching for the lengthy horns. Additionally known as hook-lipped rhino because of the prehensile upper lip that will help him to grip the woody plant stems on which it feeds. Scientists have found out eight species of black rhino, however, three of them are extinct now and only three (eastern, south-central and south-western) have viable populations. Approximately 50% of the males meet their end fighting and hence they have highest known combat death rate for any mammal. The species can run at a speed of 56kph and can run on the spot. The California condor is the largest bird found in North America and they are one of the critically endangered species in the world. Most of the population of bird has been lost in the 80’s due to shooting, poisoning, and habitat loss. There are only 22 California condor birds left today. The Conservation plan from U.S government helps in increasing the population of the bird to 200 and another 160 is in captivity. One of the largest birds in the world can reach upto 15 000 feet while they are flying. Talking about the appearance, whole body of the California condor is covered with black feathers except the head. California condor head is bald and the only a couple of feathers can be seen. The skin of the California condor can change colour and represents the emotional state of the bird. The bald head of California condor helps them to the rotten meat of dead animals and protect them from potential infections induced by bacteria. The appetite of the bird is huge, however, in case of the large meal the species take rest for a couple of hours before next round of flying. They are found in the Hawaiian Islands and one of the rare marine animals. They are two types of monk seals one is Hawaiian monk seal and the other is Mediterranean monk seal. The Hawaiian monk seal if not preserved will become extinct in the near future for sure. There are only 200 Hawaiian monk seals left today in the world. Hunting is the main reason f r the declining population of the Hawaiian Monk Seal. The average lifespan of the species is 25 to 30 years. Hawaiian monk seal can grow upto 7 feet long and weighs approximately 300 and 400 pounds, however, females can grow to 8 feet long and weighs around 400 to 600 pounds. The species love to eat fish, lobster, octopus and squid. Humans are the biggest predators of Hawaiian Monk Seal, however, we don’t directly hunt them but they get entangled in fishing nets and gear. Usually, tiger sharks and Galapagos sharks are known to prey on them. They are officially declared endangered in November 1976. They are mostly found in rivers and streams of Southern Brazil. There is only 250 Brazilian Merganser left today. The main reason for the drastic decline in the population is illegal logging, habitat loss, and mining. The increasing tourism, mining or logging in the areas and the growing population of the humans will lead to the disappearance of the species forever. 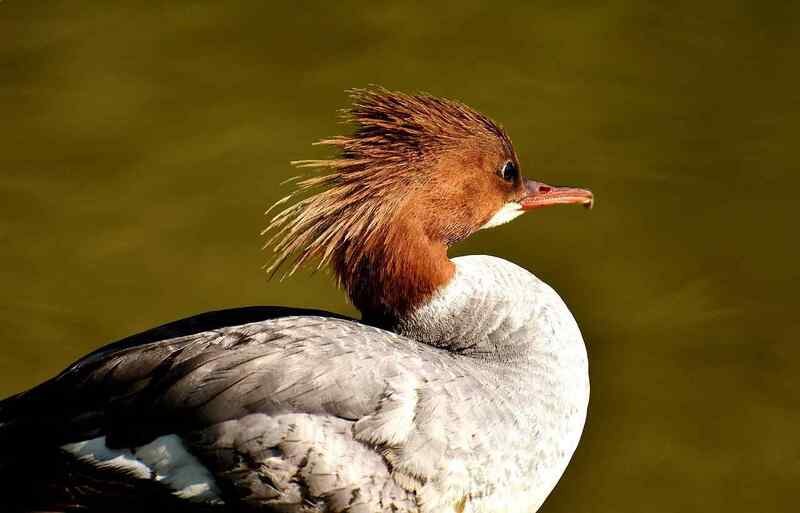 Talking about the appearance, the Brazilian merganser known to have a long crest with a shiny dark-green hood and upperparts are dark grey while the breast is light grey. The belly gets whitish in colour and has a white wing patch that is noticeable in flight. They love to survive in shallow, fast-flowing streams and rivers with clear water and surrounded by dense tropical forest. They are one of the most beautiful parrot species that are mostly found in Northern parts of Bolivia. They are known for their striking plumage and blue throat. We have only 100 blue-throated macaws left in the world. They only build their nest on the motacu palms. The increasing deforestation causes the decline of these trees and hence the bird is facing habitat loss. They are mostly seen in flying in large flocks and in that bonded pairs fly close to each other with wings nearly touching. When disturbed they used to screech loudly and circle itself with the help of their long tails streaming. They are able to mimic human vocalizations and considered to be one of the most playful and inquisitive birds in the world. The species love to eat all sorts of nuts and seeds and can reach a speed of 35 mph while flying. They are mostly found in the Gobi desert, Northwest China, and South Mongolia. They are also considered to be the ancestors of the domestic camel found today. They have two humps rather than single hump that is found in domestic camel. We have only 1000 Bactrian camel left in the world. The main reason for the declining population is hunting and habitat loss. A group of Bactrian Camels is known as a flock or a caravan. They can go long without water, however, it will depend on the temperature, the camel’s activity, and what type of food it is eating. Thirsty Bactrian Camels can drink upto 135 litres of waters in less than 15 minutes. These are the 10 animals that could disappear forever. Do post your comments.